Working and learning in natural light is not only pleasant and beautiful, but also plays a crucial role in keeping our minds alert and our bodies in balance. 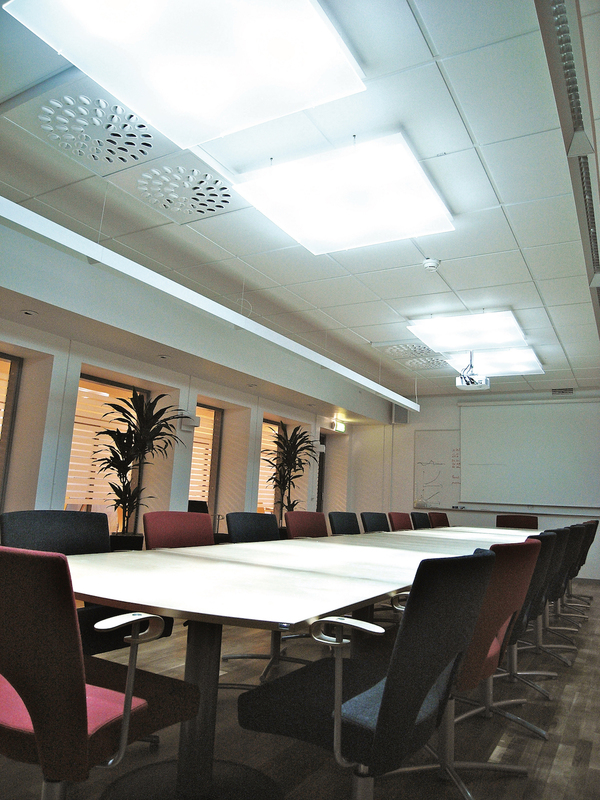 A conference room at Lund University, which was typically located in the middle of the building, had no natural light. Corridors ran on both sides of the conference room and alongside, workplaces were situated close to the windows. Should participants in important meetings really have no access to healthy sunlight? Sunlight is captured by Parans receivers on the outside of the building. Optical fibres then transfer the sunlight through the building’s structure, several floors down and deep into the indoor environment. Now natural sunlight flows into the conference room and people participating in important meetings can stay healthy and alert.